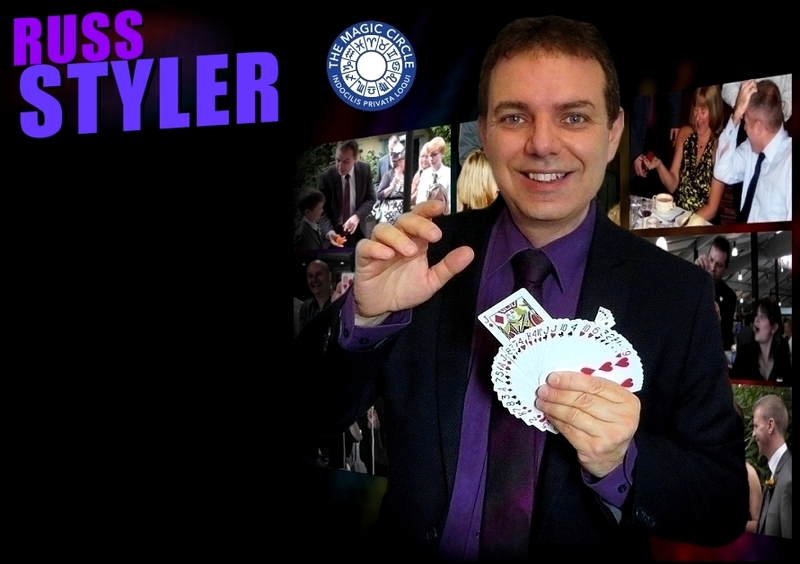 Russ Styler's combination of amazing sleight-of-hand magic and humour are key factors that have made Russ a most popular, sought after choice for weddings, corporate events, anniversaries, special birthday celebrations, dinner parties, fun days - you name it! 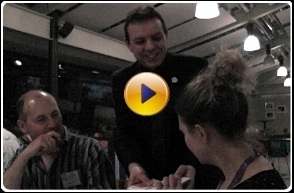 A highly experienced professional magician, over the years Russ has amazed and entertained guests at just about every kind of venue for every kind of event, party or occasion there is. From events at top London hotels like Grosvenor House and the Dorchester to the more intimate surroundings of the local pub restaurant, Russ has done them all. 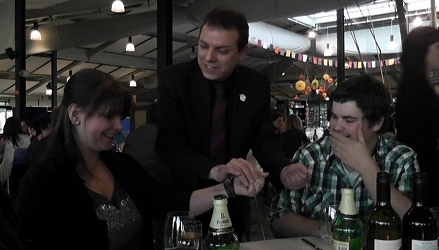 Russ Styler's combination of amazing sleight-of-hand magic and humour are key factors that have made Russ a most popular, sought after choice for weddings, corporate events, anniversaries, birthday celebrations, dinner parties, fun days - you name it. 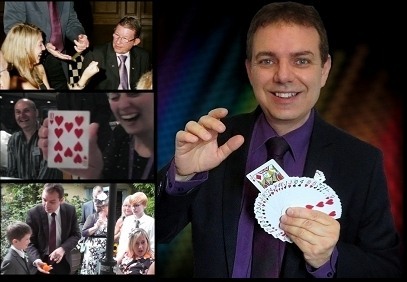 A highly experienced professional magician, Russ has amazed and entertained guests at just about every kind of venue for every kind of event, party or occasion there is. From events at top London hotels like Grosvenor House and the Dorchester, to the more intimate surroundings of the local pub restaurant, Russ has done them all. Russ is happy to quote for all areas and looks forward to bringing his magic to your event soon! If you would like to learn how hiring a magician can work to give your special event or occasion an added magical dimension and leave your guests with something that they will talk about for years to come, click on any of the appropriate tabs at the top of this page. If you would like to discover how hiring a magician can work to give your special event or occasion an added magical dimension and leave your guests with something that they will talk about for years to come, click on any of the appropriate buttons etc above to learn more.